The United Nations Population Fund recently published “The State of the World’s Midwifery: Analysis of the Sexual, Reproductive, Maternal, Newborn and Adolescent Health (SRMNAH) Workforce in East & Southern Africa.” The report uses the framework of the 2014 State of the World’s Midwifery report to assess the SRMNAH workforce in 21 countries: Angola, Botswana, Burundi, Comoros, Democratic Republic of Congo, Eritrea, Ethiopia, Kenya, Lesotho, Madagascar, Malawi, Mozambique, Namibia, Rwanda, South Africa, South Sudan, Swaziland, Tanzania, Uganda, Zambia and Zimbabwe. The 21 countries included in this report reflect a fairly high level of diversity across the region: Some have extremely high levels of maternal and neonatal mortality and stillbirths as well as high disease burdens; others have relatively low levels. 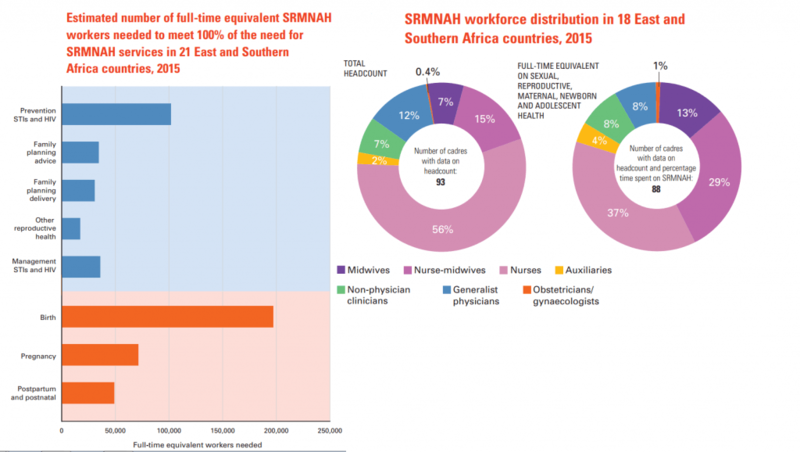 South Africa is the only country in the region with an SRMNAH workforce that is large enough and has the appropriate skill mix to meet all of the country’s need for the 46 essential interventions for SRMNAH. The size of the SRMNAH workforce is an essential building block for effective coverage of SRMNAH services, but effective coverage depends also on accessibility, acceptability and quality. Countries with SRMNAH worker shortages must focus on increasing availability, and all countries should address the identified challenges to the provision of SRMNAH care that is accessible, acceptable and high quality. However, comprehensive, disaggregated data for determining the availability, accessibility, acceptability and quality of the SRMNAH workforce are not routinely and easily available, even to those tasked with making decisions about workforce planning and deployment. In order for the SRMNAH workforce to work effectively, health facilities need to be equipped to offer the appropriate services, including for emergencies (access to safe blood, cesarean sections, newborn resuscitation). All hospitals and primary care facilities in the region tend to be designated to offer these services, but relatively few are sufficiently well equipped to be able to provide them routinely. Legislation, regulation and licensing allows SRMNAH workers to provide high quality care and thus protect the health of women, adolescents and newborns. Countries in the region tend to have good policies and systems for this aspect of quality of care, but in some countries there are barriers to the effective implementation of these policies and systems. Midwives and nurse-midwives who are educated and regulated to international standards can provide 87% of the essential care needed for women, adolescents and newborns. Midwives and nurse-midwives can make a unique contribution due to their competencies covering the whole continuum of SRMNAH care, from pre-pregnancy, through antenatal care and care during childbirth, to postnatal services. The scaling up of midwifery represents a cost-effective contribution to improving SRMNAH outcomes. Are you working to expand the accessibility, acceptability and quality of your country’s SRMNAH workforce? We want to hear from you! 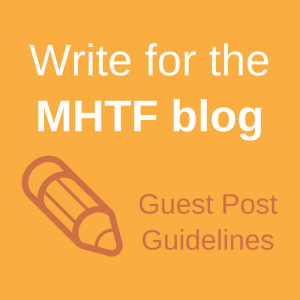 Explore other posts from the Global Maternal Health Workforce blog series and access related resources. 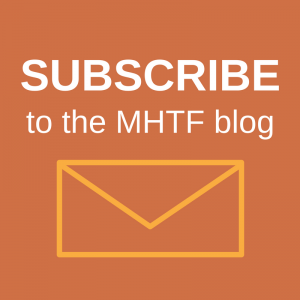 Subscribe to receive new posts from the Maternal Health Task Force blog.